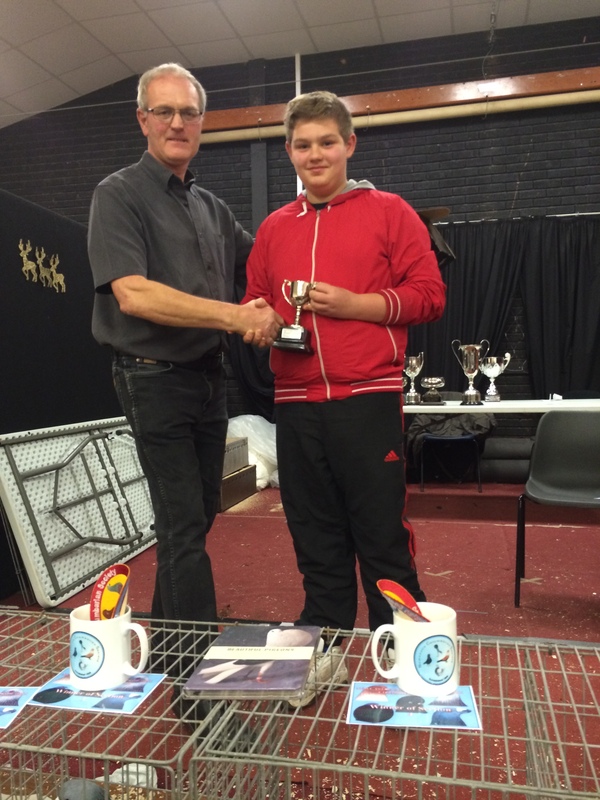 Junior Fancier of the Year 2015, we had two nominations this year and the worthy winner was Lewis Fryer. Graham Bates has put together a little piece about Lewis for those of you who don’t know him. Lewis is a genuine young fancier who manages his own birds even at his young age, yes his father guides him but the birds are Lewis's. His number one breed has to be the Old Dutch Capuchines which he has had many successes with, winning best juniors and some best of breed. He has had many other breeds as well, as most of us did when we were young, fantails, Indian fantails, frill backs Pomeranians, Horseman, Pigmies and there’s probably others. He brims with enthusiasm and is always willing to help, running around at shows when us olden's have had enough, stewarding for anyone who needs one something at which he is very capable. 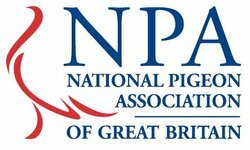 He is always listening, learning and asking questions, Last year he did his first judging, doing the pigmies at Peterborough and a good job he did too. Lewis's parents have a pets shop and I suppose being brought up with that background has given him the confidence to handle animals and birds as he does. Youngsters like Lewis are few and far between let's hope he stay with the fancy through his teens and beyond as Lewis others like him are the future. The 2016-16 season we re-introduced the points system for the juniors, the results are taken from East of England, East of England, Egremont, Airdrie, Lancashire, London & Essex, Newcastle, BPSS, Swansea & Reading. In the fancy section there is no clear winner we have several of our juniors winning best fancy at our shows. So those that won best Junior with a fancy will each receive a certificate which are Millie, Peterborough, R & A Crowe, two brothers from Airdie, Joseph Morrow, Newcastle, Naomi, London & Essex, & Ben Roberts, Reading. 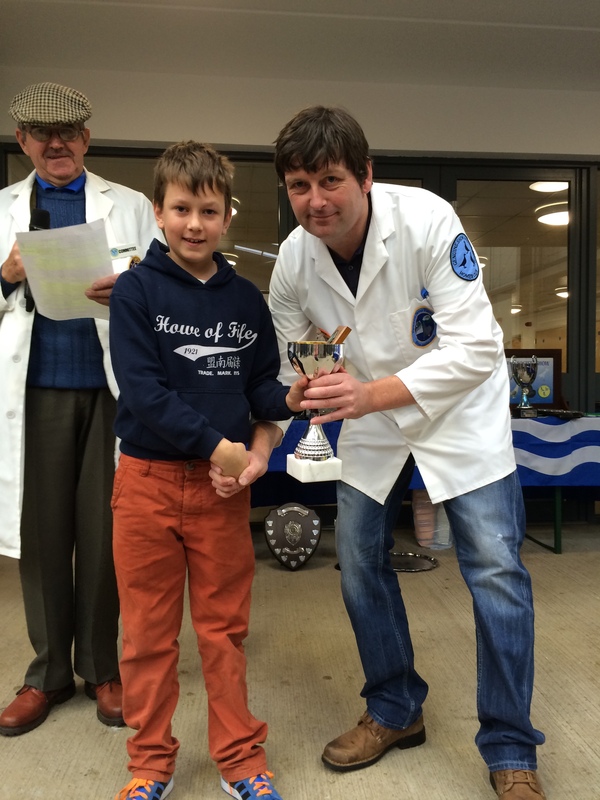 Overall Points Champion is Matthew Weatherill who won two Best Juvenile at Lancashire and BPPS, one with a Modena and the other with an Exhibition Tippler. 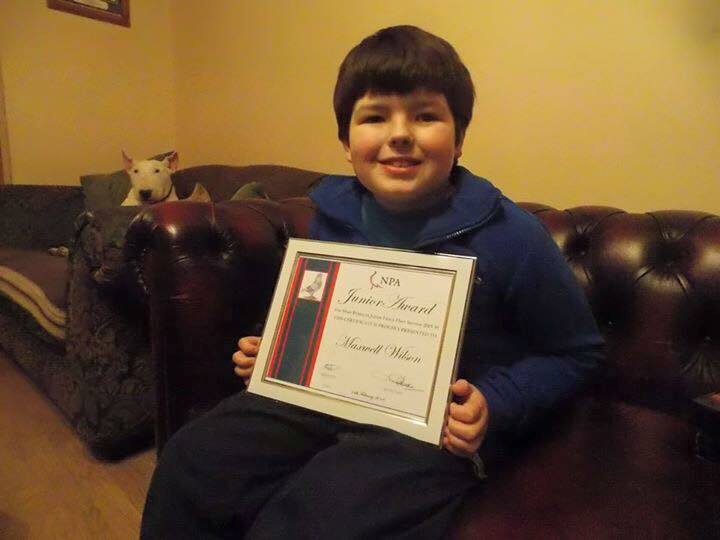 Another good year for Matthew who was our 2014 Junior Fancier of the Year. 2015 will be Matthews last years as a junior. 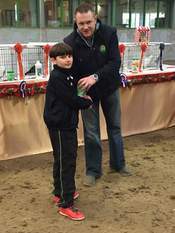 Well Done to all our juniors, these awards will be given out at the next championship show they are present at. Results and photos will also appear in our magazine. We will continue to run the points awards in 2016-2017. East of England; Lewis Fryer, Show Racer. Egremont Fancy Pigeon Society; Cody Waldron, Brunner. 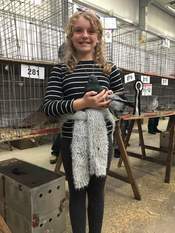 Aridrie & Coatbridge Fancy Pigeon Society; Caragh Ferguson, Show Roller. 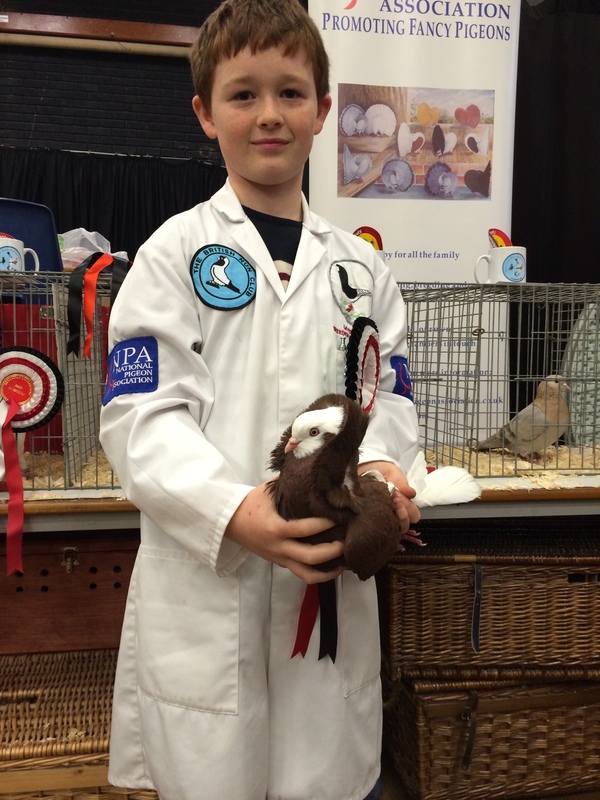 Lancashire Show Pigeon Society; Cody Waldron, Brunner. Newcastle Columbarian Society; Charlie Bewick, Trumpeter. BPSS; Lewis Fryer, Old Dutch Capuchine. 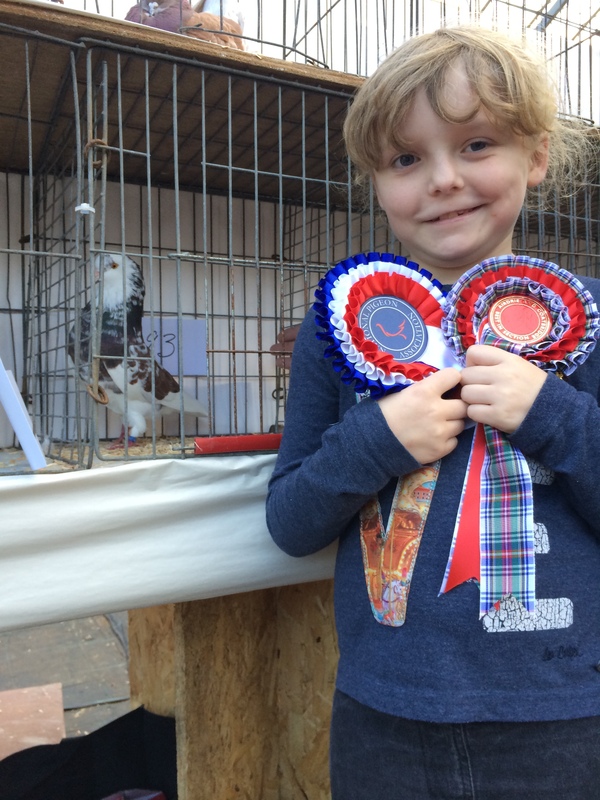 Swansea Fancy Pigeon Society; Sophie Down, Modena. Reading Fancy Pigeon Society; Robert Bagshall-Pratt.